Max came back from a fun-filled sleep over Nana and Grandpa’s house saying that he wanted to fly to the moon. (Nana always tells Max she loves him to the moon and back.) 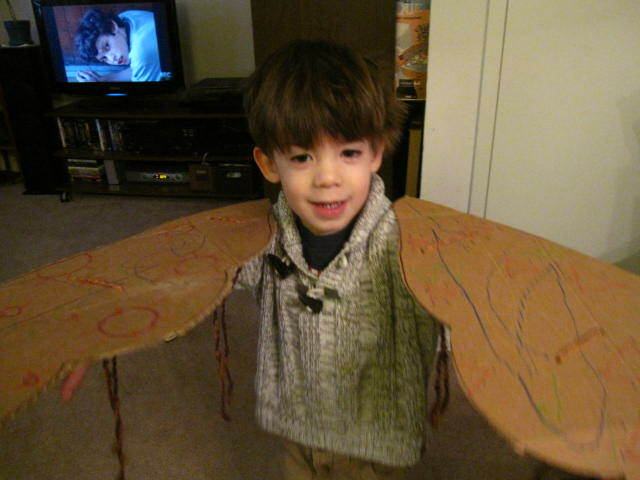 So Daddy fashioned Max a pair of cardboard wings. 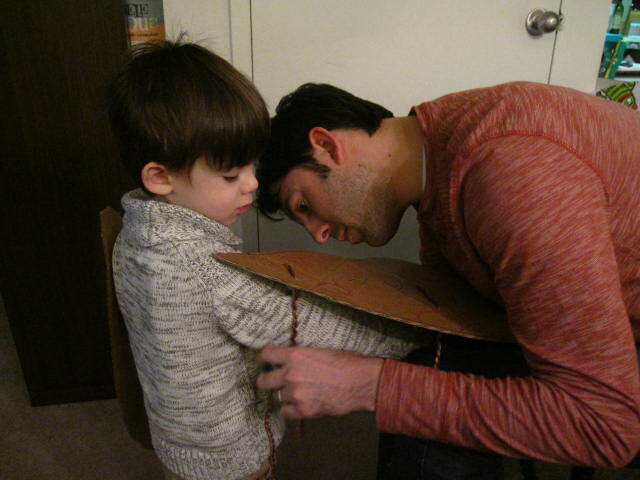 Daddy tying Max’s wings on his arms. 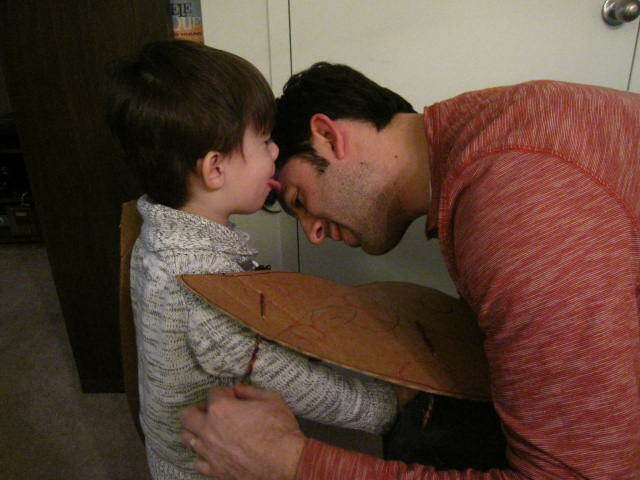 Max licking Daddy’s face as he ties his wings on his arms. I guess Nana needs to make some wings too!